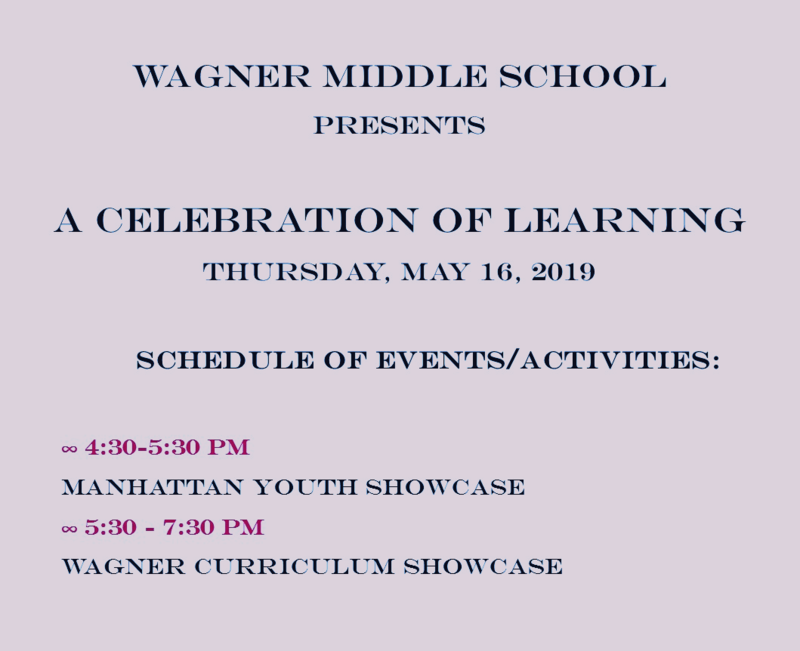 Congratulations to all on another successful year at Wagner! There are many exciting events and culminating celebrations in the weeks ahead and we would like to invite you to honor your child in a permanent way by sponsoring a Legacy Plaque with your child’s name and their grade engraved on a seat in our auditorium. These are a great remembrance for graduating 8th graders or current 6th and 7th graders! The plaques will be mounted permanently on the back of an auditorium seat for $100 each. The first line will feature your child’s name and the second line is for their graduating year “Class of 20__”. 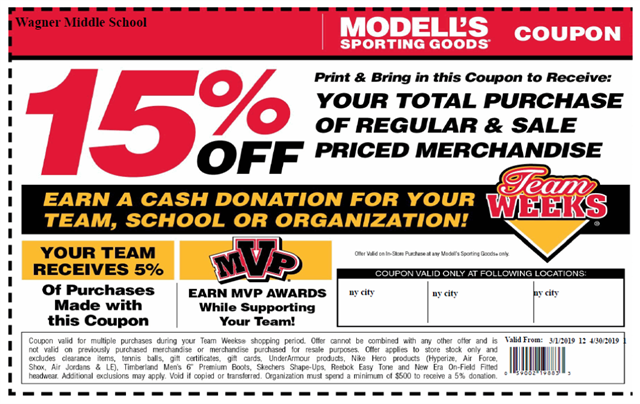 Use 15% coupon below. Good for Friends & Family. 4. School Musical: Xanadu: April 17th & 18th, 6:30pm, $10 suggested donation. 1. If your child is performing in the Spring Concert, please click on the following band letter, to see information about arrival times, dates, and dress code. 2. This form must be signed and returned by tomorrow, April 11th. 3. Blood Drive: The 2nd night of the concert, May 29th, Wagner will also host the annual community blood drive. If you can donate to save lives, please join us for this event. Arista applications will be accepted between Arpil 15th and April 29th. No applications will be accepted after that date. The application instructions are available outside of rooms 432 and 426 as well as the counter in the main office. If you have any questions, students should stop by to see Mr. Eldridge. If you have not had the opportunity to fill out the Family Survey, please do so today! The deadline to submit your surveys has been extended to April 11th. 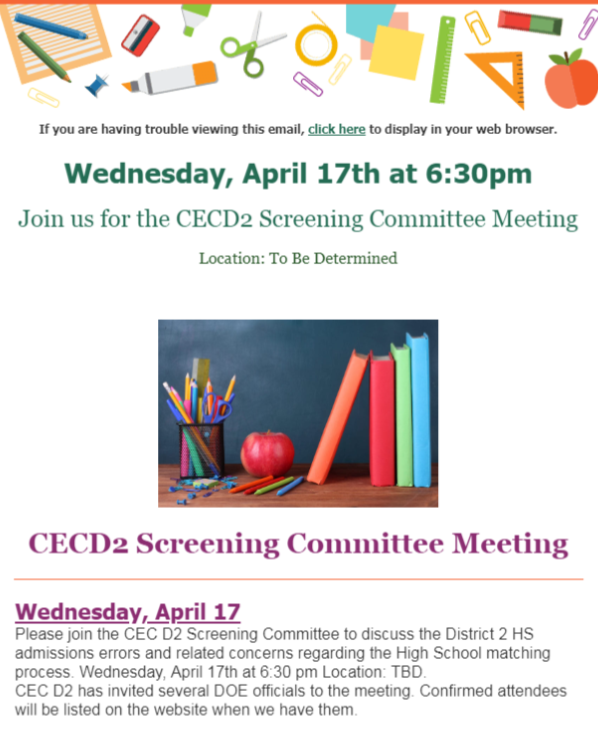 Take a print screen to email to your child's homeroom teacher. 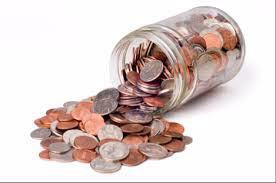 All students who bring in the completed survey, or proof of the completed survey, will enter into a raffle to win prizes. Hello! I'm writing to share a new Girls Who Code summer option that's coming to NYC. Girls Who Code Campus offers 2-week coding courses for girls 10 to 18 at 5 difference locations around NYC. 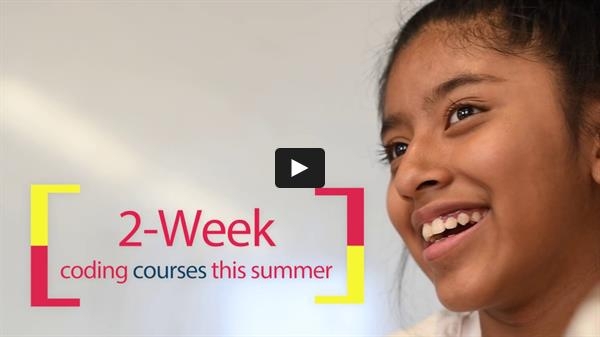 Courses explore new technology concepts through a fun, creative, project-based curriculum. Explore dates and courses here. 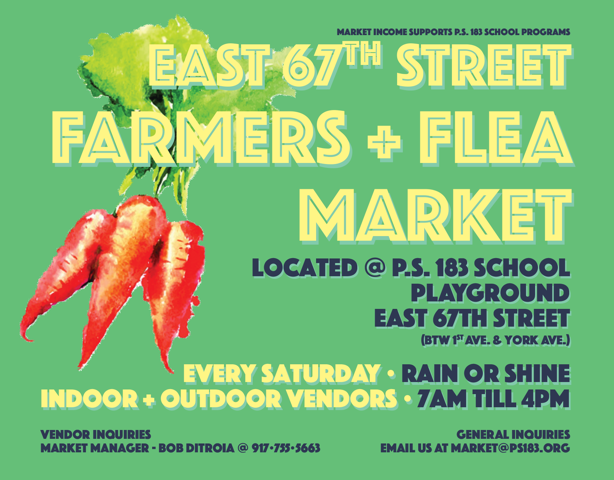 Registration is rolling, but courses do fill up first come, first served. Your second registration is 50% off (two girls or two courses) and full scholarships are available for families that qualify. Email campus@girlswhocode.com with questions. 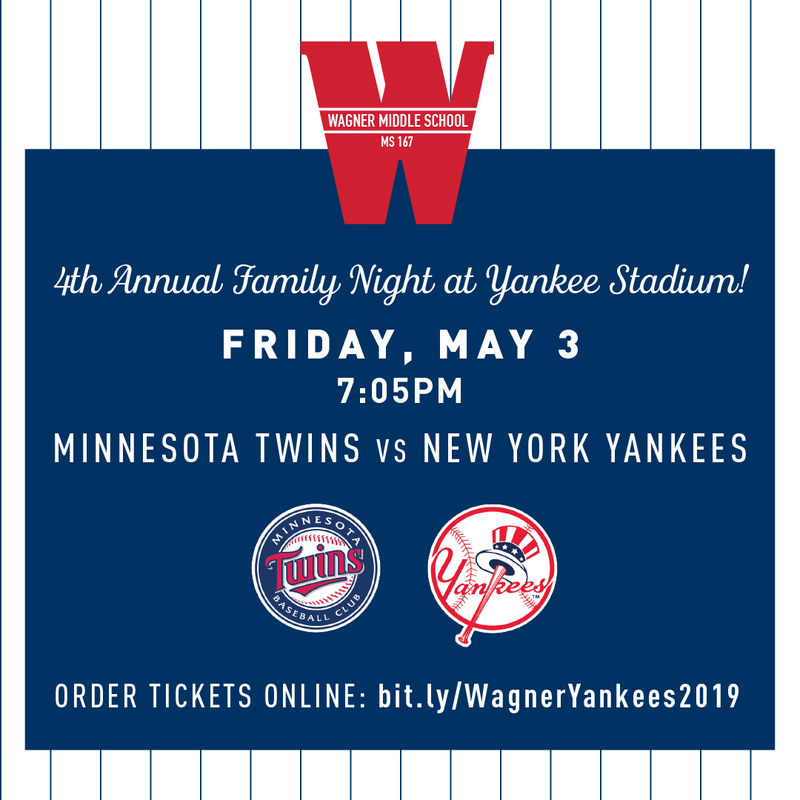 (Disclaimer: Wagner does not promote or supporting any individual group; however, I will along information that comes my way. - Sheila Gonzalez). I wanted to take a moment to remind you all of NYICFF's education initiatives; our Film Ed Field trips and filmmaking camps. I'm attaching a PDF with more info about our educational field trip screenings, or you can learn more on our website. These specially curated programs are a fun, dynamic way for students to learn about cultural perspectives and the art of film and animation while exercising their media literacy skills. We are continuing to book screenings through the end of the year! Share the PDF with your school teachers! 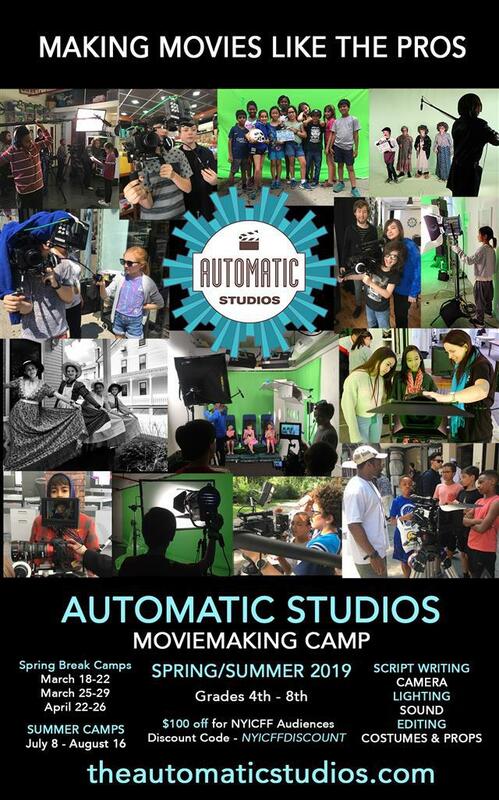 This year we are partnering with our friends at Automatic Studios to offer our school partners a significant discount on their filmmaking camps! At Automatic Studios kids learn the art and technical skills of live action filmmaking. Learn more on their website and use the code NYICFFDISCOUNT to save $100 on April break or Summer camps! I'm attaching a PDF for this as well.